Employment Practices Liability Insurance covers a lot of ground and that ground is expanding. The past couple of decades have brought new challenges and exposures to what falls under EPLI. In January 2016, Facebook claimed over 1.5 billion monthly users. Twitter, Instagram, and Snapchat all claim hundreds of millions of active users. Employees can use social media to defame, disparage or harass organizations as well as co-workers. What this means for employers is that a negative online comment about an employee could go viral. EPLI does not cover negative comments made by employees against one another, but it may protect employers when the co-worker sues the employer for failing to prevent such harassment. When a manager makes the inappropriate comments EPLI does cover the employer. As the workforce gets older and employees defer retirement, more requests for medical leave and the reasons for those requests are on the rise. Some are clearly justifiable grounds but others are questionable. Unfortunately a denial of leave is a potential for a claim against the employer and/or the individual manager or HR professional. In fact, many courts have ruled that individual liability attaches to those involved with Family and Medical Leave Act (FMLA) decisions that affected aggrieved employees based on the FMLA definition of "employer," which allows for personal liability of managers and company officials. 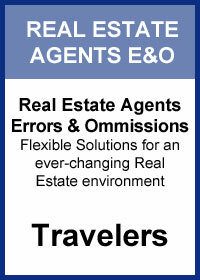 Insureds, therefore, should look to their EPLI and D&O coverages to respond to such claims. In 2014 the Equal Employment Opportunity Commission filed the first two lawsuits in its history challenging transgender discrimination under the 1964 Civil Rights Act. 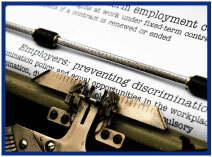 EPLI policies usually cover claims of employment-related discrimination based on the violation of any federal, state or local law that prohibits discrimination on the basis of race, sexual orientation, color, marital status, creed, national origin, religion, gender, age, military service, disability or pregnancy. Newer EPLI policies explicitly cover discrimination based on sexual preference or orientation. Corporate data breaches are becoming more common or perhaps just reported more often. As the employer and/or executives shoulder the responsibility more often they also incur the liability. Claims against the board or executives should be covered under most D&O policies, which typically do not contain data-breach or cyber exclusions, whereas claims against negligent employers or supervisors may trigger EPLI coverages. Alternative working arrangements - Shorter workweeks (longer hours over fewer days), telecommuting, and staggered schedules, continue to increase in popularity, especially in urban areas - mean increased potential employer liabilities. Examples include - discrimination in which of employees are allowed alternative work arrangements, missed opportunities at promotion, Fair Labor Standards Act (FLSA) violations of nonexempt employees working longer days, among others. If the claim falls under "wrongful acts" the employer is provided coverage under EPLI. Then of course there are the exposures that one generally associates with EPLI. Such claims may arise out of a variety of scenarios, such as when employers alter time records to avoid paying overtime, misclassify exempt and nonexempt employees and independent contractors, or fail to provide due rest and meal periods. Defense costs for these lawsuits can be substantial, especially when they become class actions. Most employment practices liability insurers now specifically exclude coverage for wage and hour claims, among other types of FLSA violations. However, as with whistle-blower and retaliation claims, wage and hour claims may still be entitled to the cost of their defense under many EPLI policies' broad "duty to defend" language. Likewise, the wage and hour claim may implicate coverage where the claim is itself based on a generally unfair business practice that is otherwise covered under the policy. Claims of sexual harassment are usually covered under EPLI. As these claims often alleged failures at the corporate level as well (e.g. failing to put in place workplace safeguards and policies), such claims may involve D&O coverage as well. The number of whistle-blowers and claimant retaliation claims continue to rise as workplace regulations and whistle-blower protections increase. Coverage for these claims, and their high cost of defense, is usually available under EPLI. 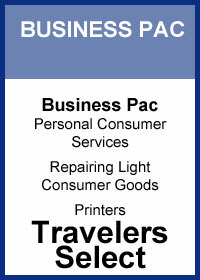 Employment Practices Liability - Wrap+ from Travelers is modular coverage offered as a stand-alone product on Big "I" Markets and also as part of the Wrap+ Executive Liability for Private Companies. EPLI - Wrap+ is currently available to insureds in all states with the exception of: CA, LA, NE, NV, VT and WV. Time to watch your mailbox for the latest edition of the Big I Advantage Newsletter! Click here to preview the newsletter, which features updates and articles from all Big I Advantage areas. The cover story penned by Big I Advantage president Paul Buse highlights the value of long-term business relationships and overviews the lengthy and fruitful partnerships with the companies we work with to bring Big "I" members essential value-added programs. 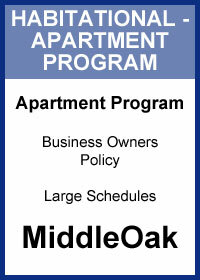 To learn more about any of the programs highlighted in the newsletter, visit www.iiaba.net and click on "Products." 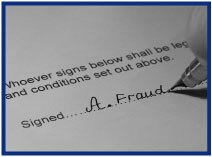 A fidelity bond is a bond which indemnifies an employer against financial loss due to the dishonesty of an employee or protects a business from certain types of damage caused by employees. This type of protection is not mandatory in most states, but it does shield a company from expenses that are not covered by other policies. Do you want to protect yourself from employee theft? Employee Dishonesty is a generic term describing fidelity bond coverage guaranteeing against loss caused by dishonest officers or employees of a commercial firm or by dishonest public officials or employees. For dishonesty there is no deductible and there is very basic coverage for dishonest acts of employees. Do you want to protect your clients from theft committed by your employees? Business Service bonds are used in such industries as in-house child care. Commercial Crime Bond: Do you want to cover more than just employees? Commercial crime is really more like insurance than a typical bond. If a claim is made the policy owner will likely have to pay a deductible to recoup any loss. For Employee Dishonesty there is no deductible and there is very basic coverage for dishonest acts of employees. Crime insurance can cover much more than employee dishonesty. The seven basic agreements for a crime policy are: 1. Employee Theft (which is most like our dishonesty product), 2. Forgery or Alteration, 3. Inside the Premises - Theft of Money or Securities, 4. Inside the Premises - Robbery or Safe Burglary of Other Property, 5. Outside the Premises, 6. Computer Fraud and 7. Money Orders and Counterfeit Paper Currency. These coverage's can extend coverage to more than employees (such as a burglar who breaks in and takes money from a safe) and therefore it is much more comprehensive in coverage. Several endorsements can also be added to cover particular situations such as kidnapping, extortion, and hijacking. Goldleaf Surety Services has a number of good surety markets that write fidelity bonds. For fidelity - or all types of bonds - you can access Goldleaf through Big I Markets. 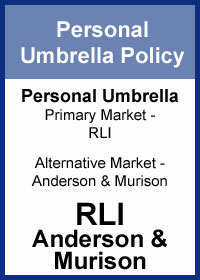 Simply log in to www.bigimarkets.com or email us at bigimarkets@iiaba.net and an underwriter will contact you. April 4. "First Monday LIVE!" a free monthly webcast hosted by the VU's own Bill Wilson and guests on the first Monday of the month discusses the wide world of insurance from seemingly non-insurance topics. Each 30-minute webisode will cover "what's going on" (drones, car sharing, concealed weapon laws, legalized marijuana, legislative issues) and the implications. April discussion topics include another "disrupter" that will "revolutionize" the insurance industry, homeowners coverage for a house running into a bridge, Uber entering food delivery, Bill Cosby defamation case and more. Click here to learn more and register and here to access the recordings. April 20. "Pollution... You're Not Properly Insuring It! - Unbelievable Fun With Pollution Exclusions" Presenter is David Dybdahl, CPCU, ARM, MBA, American Risk Management Resources Network, LLC www.armr.net. This webinar identifies why "pollution" exposures go far beyond what you might think of in terms of hazardous materials, with the most common pollutants being fungus/mold/bacteria. An overview of standard CGL and commercial property exclusions is provided then explores an in-depth review of frequently overlooked F/M/B exposures and real-life case studies. Attend and learn the importance of recognizing the exposures and choosing the appropriate environmental insurance product. Click here to learn more and to register. Be one of the first five with the correct answers and win an envy-inspiring TFT Trivia T-shirt or choose a $5 gift card (Starbucks, Dunkin' Donuts, Baskin Robbins, or Krispy Kreme). 1. What type of business was being sued in the EEOC case linked-to in the EPLI article? 2. On this date (3/22) in 1903 what happened to Niagara Falls & why? 3. Minnie Mangum stole nearly $3 million dollars (~$37.5 million today) from her employer, Commonwealth Building & Loan Association, starting in 1933 until it was discovered in what year? March Madness Tiebreaker: In 1990 Loyola-Marymount beat Michigan in the highest-ever combined score in an NCAA tournament. What was the final score? Congratulations to our agent in Missouri on a casual dining pac sale of $4,632 in premium!